This weekend past, I headed out to Parkhill for my Annual Jactopia weekend with my girlfriends. I can hardly believe that we have been doing this for 11 years now! I had the opportunity to stop in at Scrappin' Great Deals and have a little shop and picked up this fun Christmas Paper by Doodlebug Design. 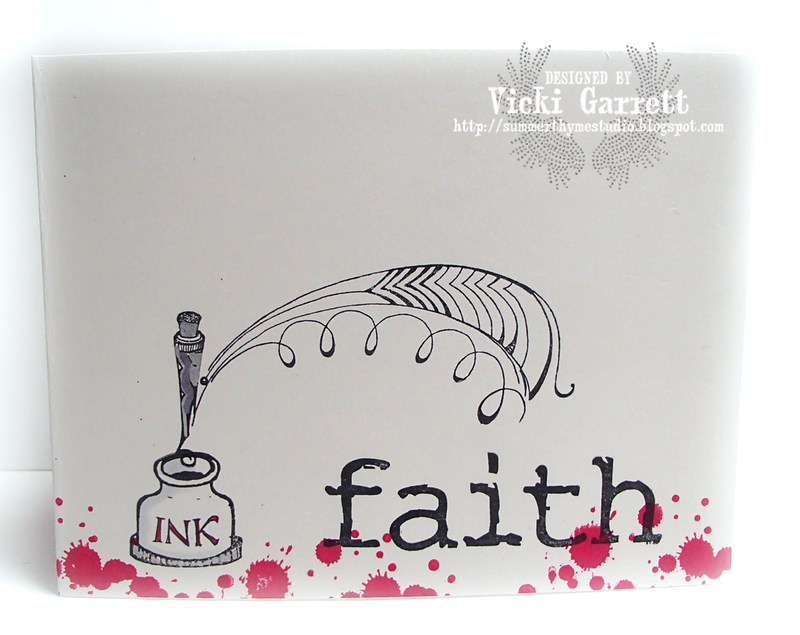 I really wanted to do something fun with my new Buddy the Elf stamp from Impression Obsession, but what to do? 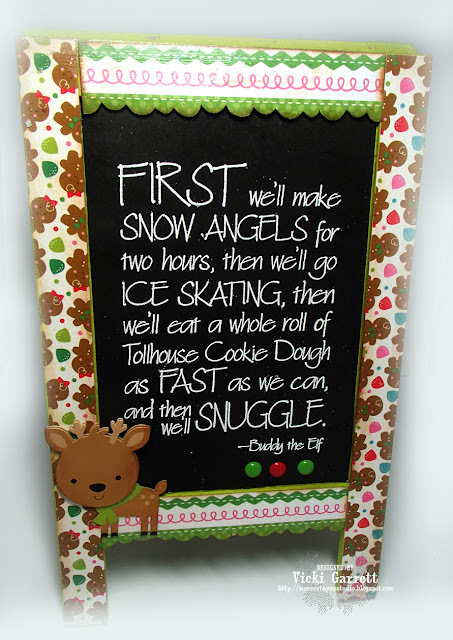 I had a peek around the dollar store in Parkhill and found this fun Easel Chalkboard. 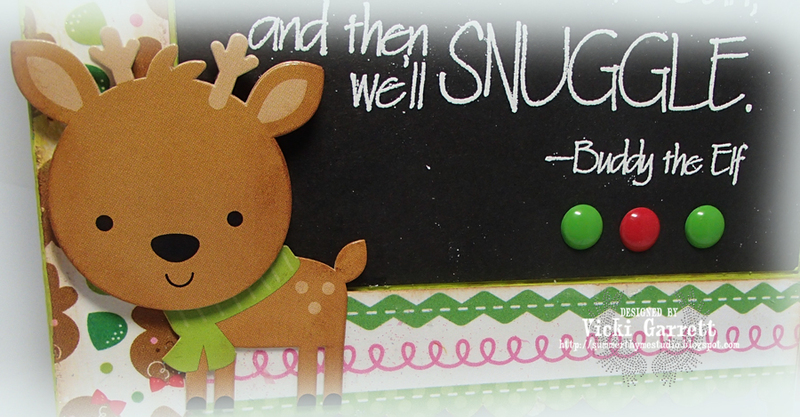 The Paper and Accessories in the Doodlebug Sugar Plum collection were perfect for this whimsical little project! First I mixed some paint to lay out a base on the frame. Once the paint dried, I glazed it over with some Viva Crystal Gel. One can NOT possible get enough bling can they? I used two papers to cover the easel- Christmas Trim (fussy cutting the scalloped edge) and Jolly Gingerbread. These papers are delicious enough to eat!!! I wanted to add a little more to the frame, so I couldn't resist adding Dasher Doodle to the corner after sponging him a bit to add a touch more dimension. 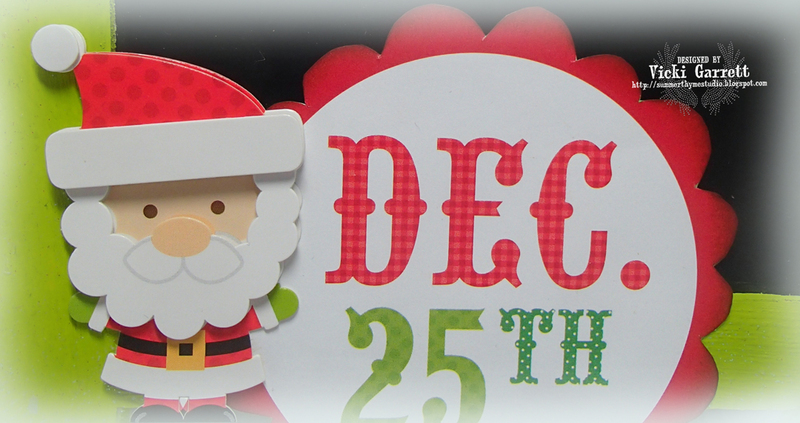 Lastly, I added the sweet Enamel Christmas Dots tie in all the bright colours in the Designer Paper. and now, for the Flip Side! Can you see the sparkly goodness of the Crystal Gel on this side? I decided to leave this uncovered so that the sentiments and Kris Kringle would be the focal point. My Silhouette expert friend Kim, helped me to cut the sentiment that complimented the December 25th Medallion that I fussy cut from the Christmas Magic Paper! 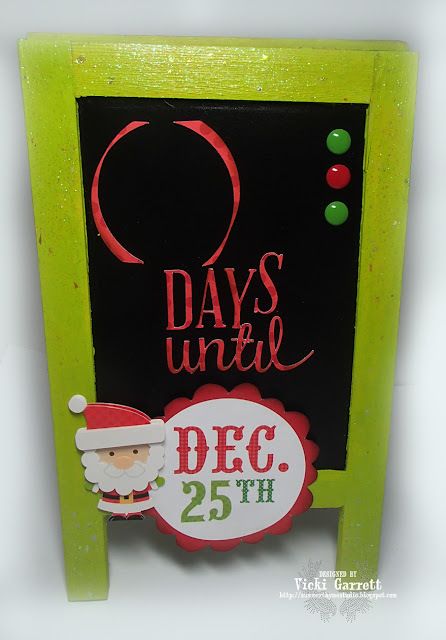 How many day's IS it 'til Christmas. Just a sec, I'm going to Google that! It's 87, Eighty-seven, which means it will be here WAY before we know it! Anyway, I would have wrote that in the parentheses, however, I could NOT find any chalk in the stores today and I couldn't wait to post. But what I love about the board, is that you can chalk it in each day! I added Kris Kringle and a few more of the enamel dots, 'cause well, you can NEVER have too much bling! I truly hope that you enjoyed my project! It was fairly easy to complete and if you start now, you will have lot's of time to make one before the Jolly Fellow arrives! 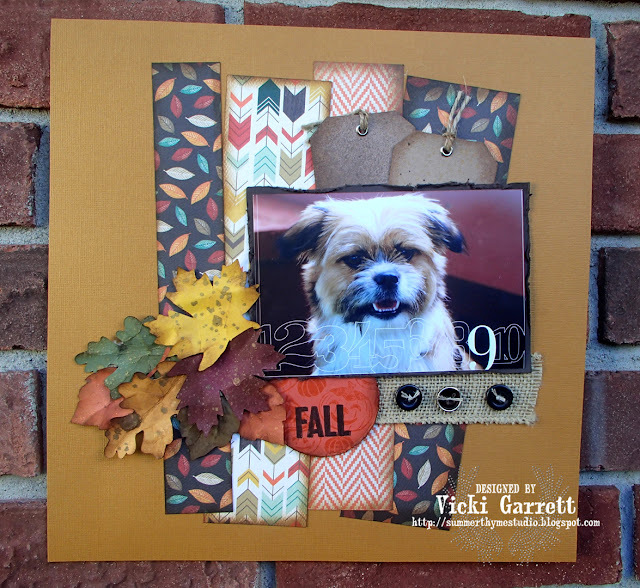 I'm excitied to share a layout that i'll be teaching this week! It sure feels like Fall this morning! I went out to take the photo of the layout and I must say it is a touch chilly! Hoping it will warm up a bit as I'm supposed to be lounging by a friend's pool later this afternoon. I LOVE this mix of colours! 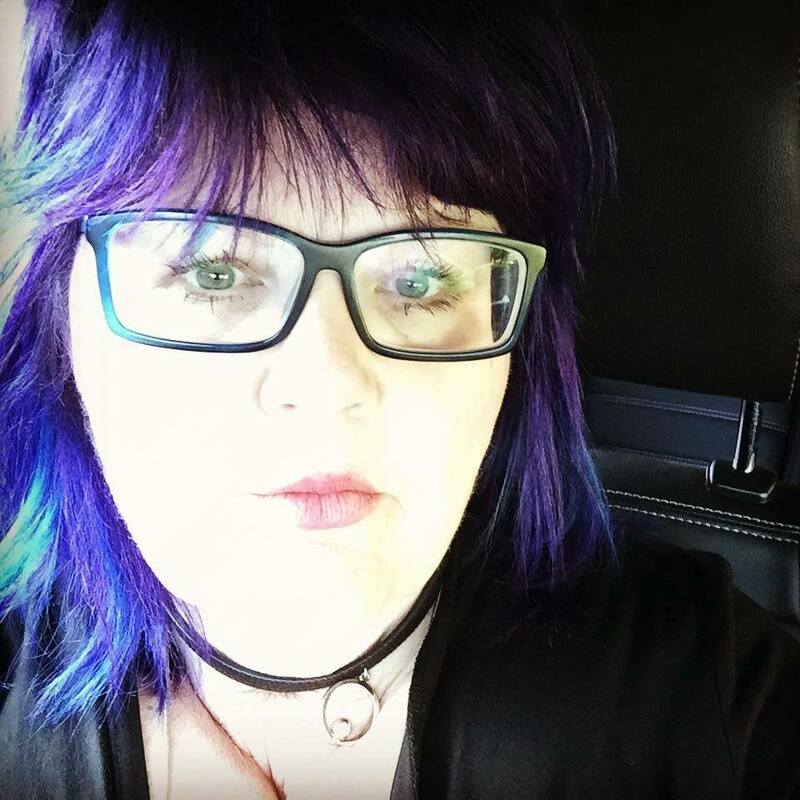 I cased a Layout by Leah Killian that I found on the Lily Bee Website, but then I made it my own! Kinda like American Idol...you take the song and change it up a bit to make it your own! I'm a little old for AI, but never to old to scrapbook! To bring the Leaves to life, I used water, ink and Prima Colour Bloom Sprays. I think i'm going to Periscope those, but need to clean my desk up first! Mine is very simple, but fun! Head on over to the IO Stamps Blog to link up your creation and find out who's playing today! Have you all seen that the new challenge is up on the Challenge Chicks Page? 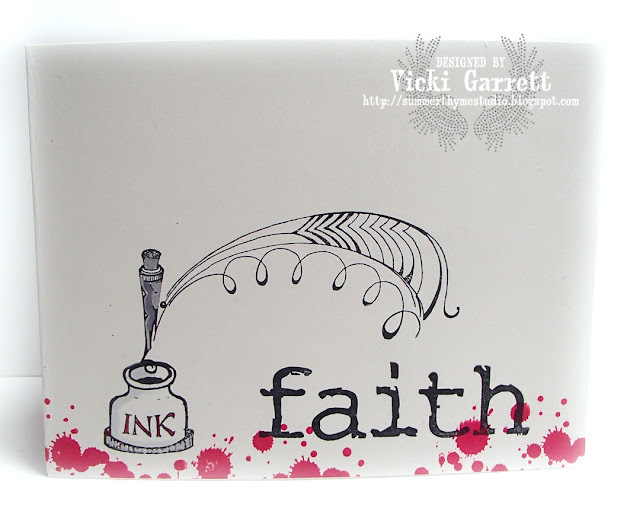 I had the PERFECT stamps for this challenge and decided to create a clean and simple card!!! 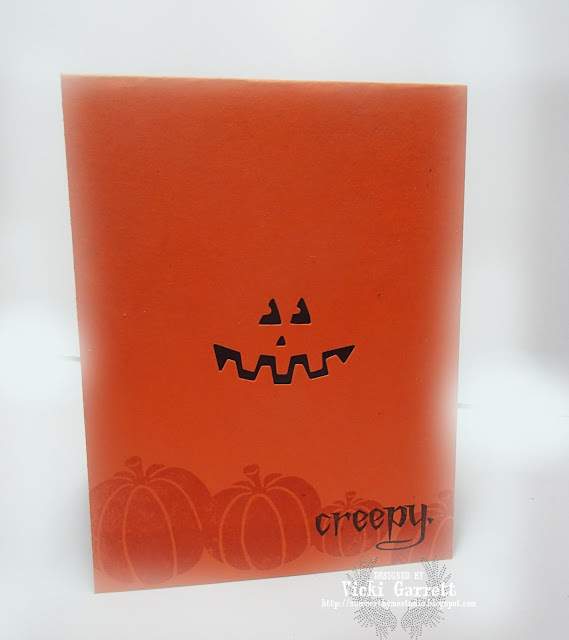 A very easy card to make! Hi! Hope you're all doing well today! I know it's been a busy week for some; either getting your kiddos ready for school or back to school! All is quiet on the Eastern Ontario Front this week! It's been hot and humid and i've spent most of my time inside~ Last weekend was great, as I had a friend down from London and we ran the roads ALL weekend! Hoping that this weekend will be a little quieter! "In a flock of Pigeons, why not be the Flamingo!" and now for the dies!!!! 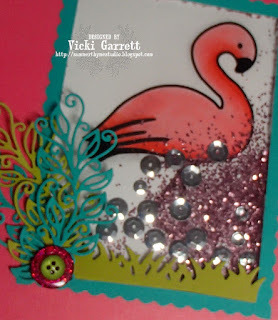 I LOVE the IO Dies and try to incorporate them on each and every card! They just make everything so darned pretty! I've put the Die numbers here as for some reason, my Link up isn't working . It worked for the stamps, so I'm not sure what in the world is going on! 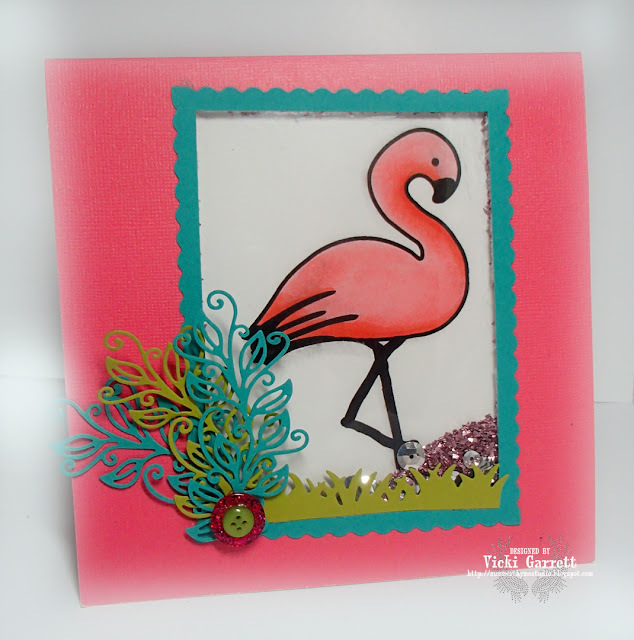 As you can see, I made the pretty flamingo into a shaker card....... 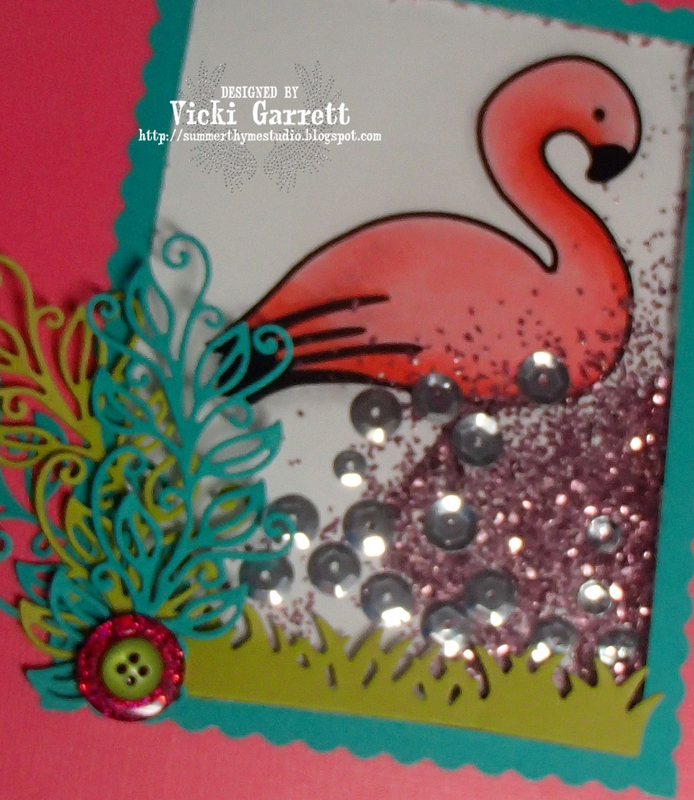 I couldn't resist adding in the Pink Glitter and Silver Sequins! Here's a close up of the shaky goodness!!! Be sure to check out the IO BLOG to see which of our talented designers are playing today!